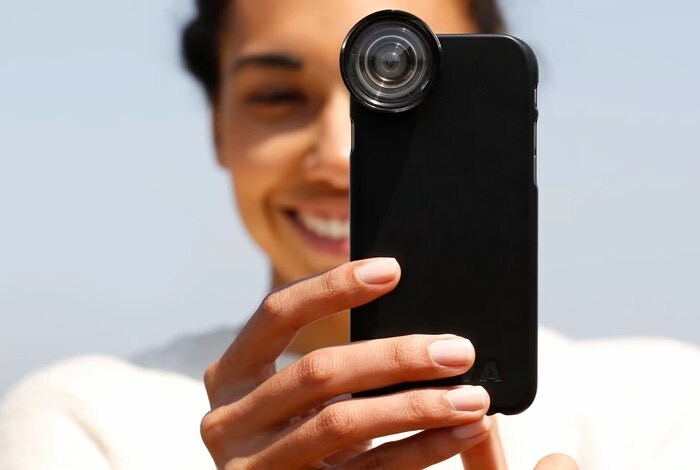 Photographers that enjoy using their smartphone to take pictures may be interested in a new range of high quality smartphone camera lenses which have been launched by OOWA. The OOWA smartphone lenses have been specifically created for mobile photography and are available in the 2.5x Zoom and wide angle lens. Check out the video below to learn more about the construction and the high quality optical lenses that have been used. OOWA has taken to the Kickstarter crowdfunding website to launch a new smartphone lenses and require $50,000 to go into production and are already very close to securing it thanks to over 360 backers. Taking a great photo of something we feel passionate about gives us an incredible feeling. Whether it’s a mountain, the sunset, a child, pet, or building — we all have something that we love to photograph. We wanted to help people take more amazing pictures by giving them the ability to take photos above and beyond their phones’ capacity, so we set out to create the highest-quality mobile photography lenses possible. OOWA lenses are unlike any other. Our patented free-form technology is uniquely optimized for translating the image circle onto the iPhone’s rectangular sensor, resulting in superior image quality. We are thrilled to finally launch our first set of lenses — a 15mm wide-angle lens and 2.5X telephoto lens for the iPhone 6 series. We can’t wait to see what you capture with them. For more information on the new OOWA smartphone lenses jump over to the Kickstarter website for details by following the link below.